Home » Recipes » Course » Desserts » Best Instapot Dessert Recipes – Sweets in Minutes! 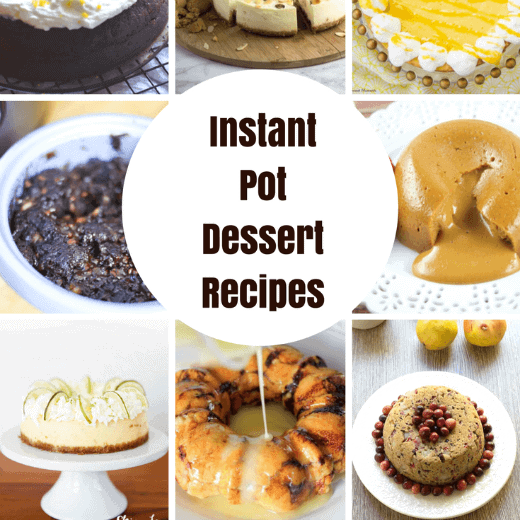 Whatever you’d like to call it, we all love desserts and these instapot dessert recipes are fabulous. 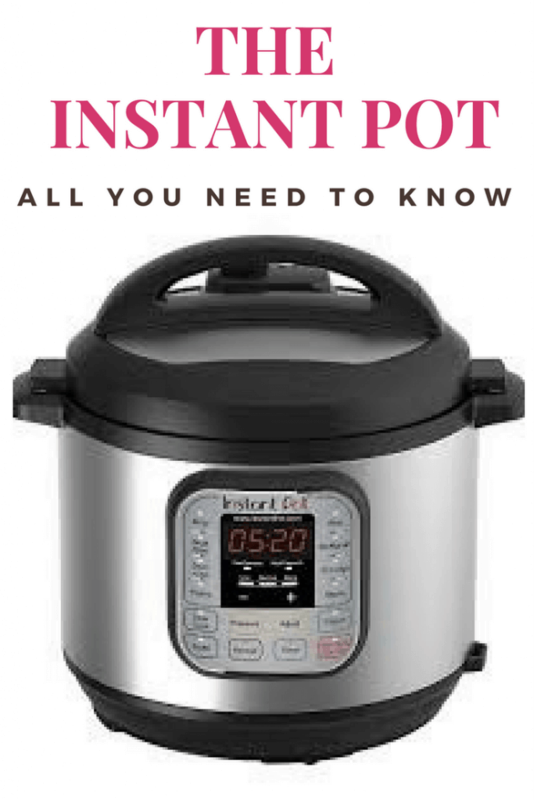 What is an Instant Pot? Check out this article that tells you everything you need to know and more! I started talking to you guys several weeks ago about my new favorite appliance, the Instant Pot pressure cooker (you can find one here). 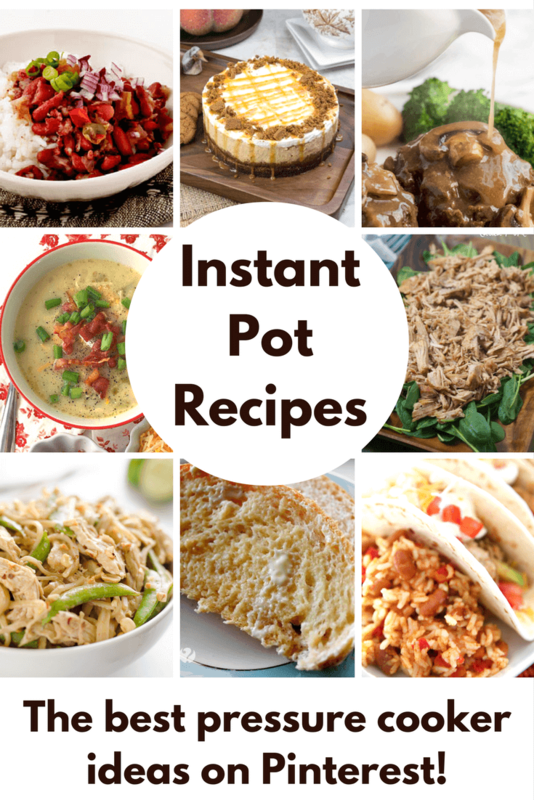 In that post I shared tons of yummy Instant Pot recipes and a few tips and tricks for what Instapot cooking can do as far as speeding up the cooking process. I also recently shared a fun new recipe for Instapot Monkey Bread. 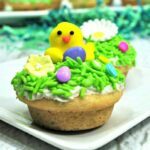 It is amazing, so I thought I’d share more dessert and sweets recipes made in the pressure cooker. I found this recipe over at the Healthy Slow Cooking site. Don’t let that name fool you! 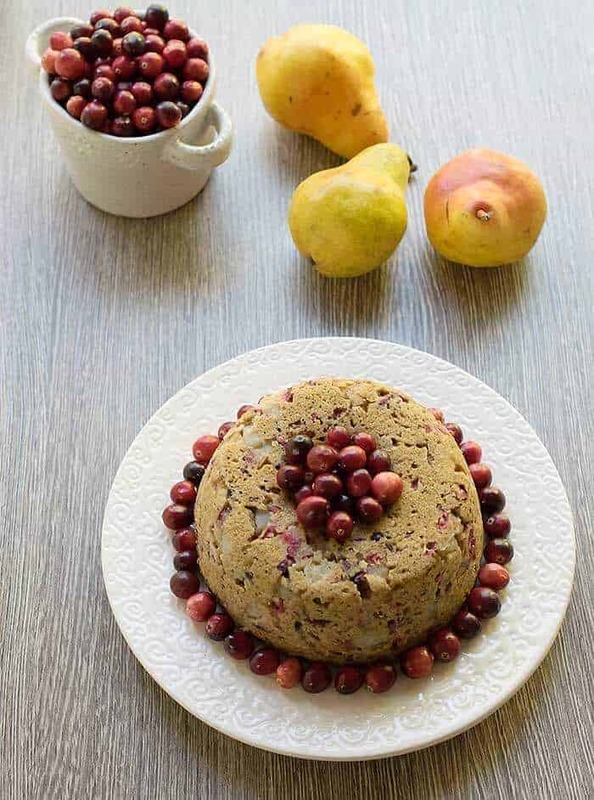 This Vegan Pear and Cranberry Instant Pot recipe is super fast and even though it’s healthy, it tastes delicious. She uses Agave to sweeten this cake. I love how beautiful it is, too! I’ll have to try this one out! Clarks Condensed shares her very favorite Instant Pot dessert recipe for her Chocolate Banana Cake. I absolutely love that combination so I’m so drawn to this recipe! The best part about this recipe is that she set out to make something completely different and she ended up with this amazing cake. That happens a lot in my kitchen and I’m sure that this has happened for you guys, too! 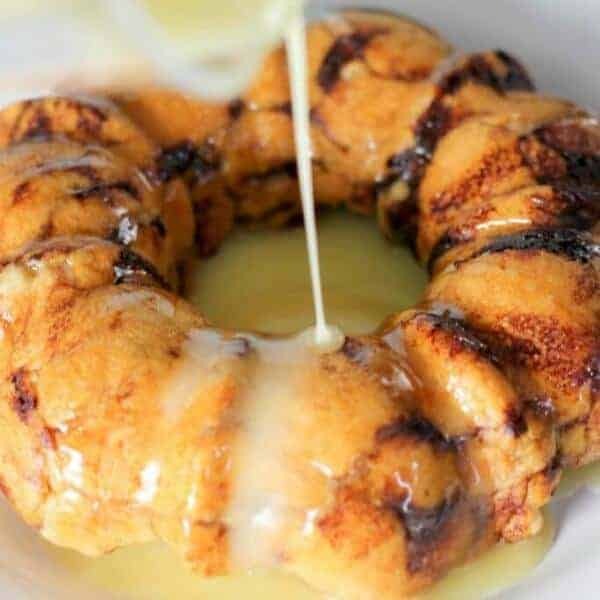 This is the recipe that was shared by Jenn on Princess Pinky Girl for Instant Pot Monkey Bread. Can you believe how pretty it is? Let me tell you… it is amazing. It is soft and moist and you can whip it up in minutes! You just need a small bundt cake pan! This is a must-make for you guys and it is perfect for those of us who are just dipping our toes into the realm of instapot cooking. And yes… monkey bread is perfect for breakfast, brunch or dessert! 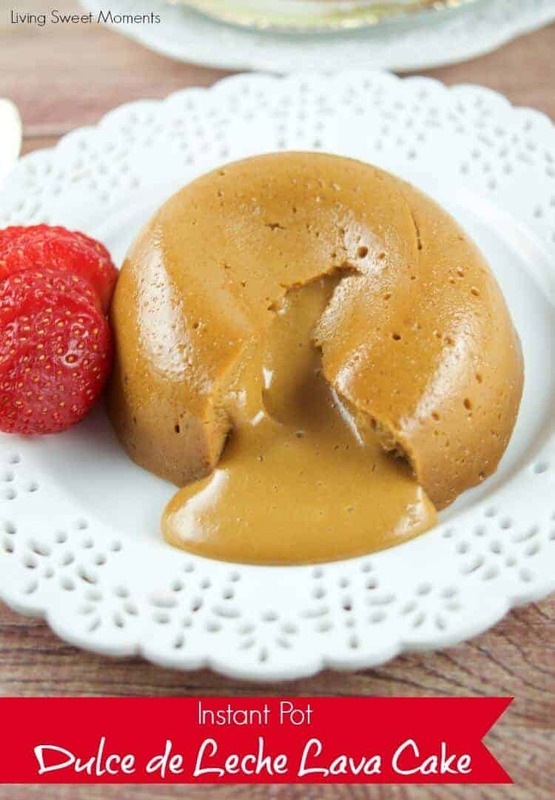 Living Sweet Moments made this Dulce de Leche Lava Cake in her Instapot! I am so impressed and it was such a cool way to make a dessert. Don’t you just love that yummy filling just dripping out?! It looks amazing! This would be fun for Cinco de Mayo, too! Another delicious lava cake recipe! 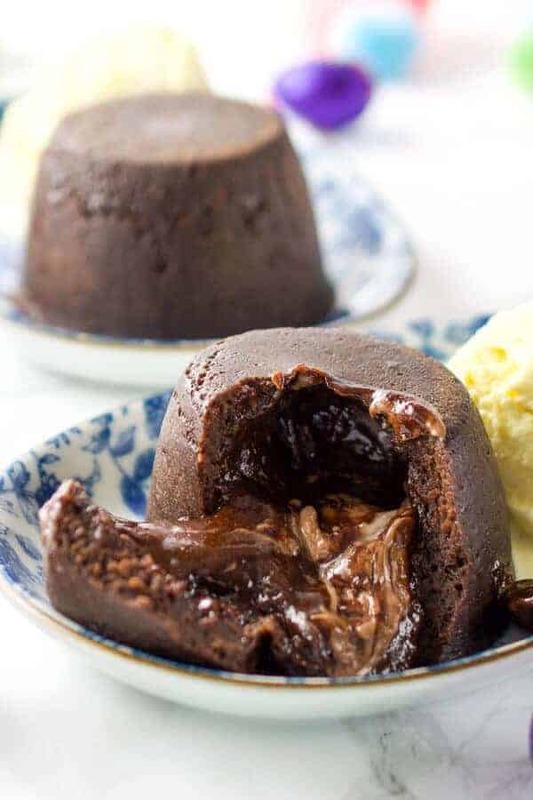 This time Every Nook and Cranny shows how to make this mouth-watering Instant Pot Creme Egg Lava Cake. 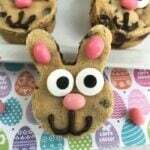 So be sure to run out and stock up on those eggs while they are 50 percent off with the after Easter sales! I am seriously drooling over this one, friends! 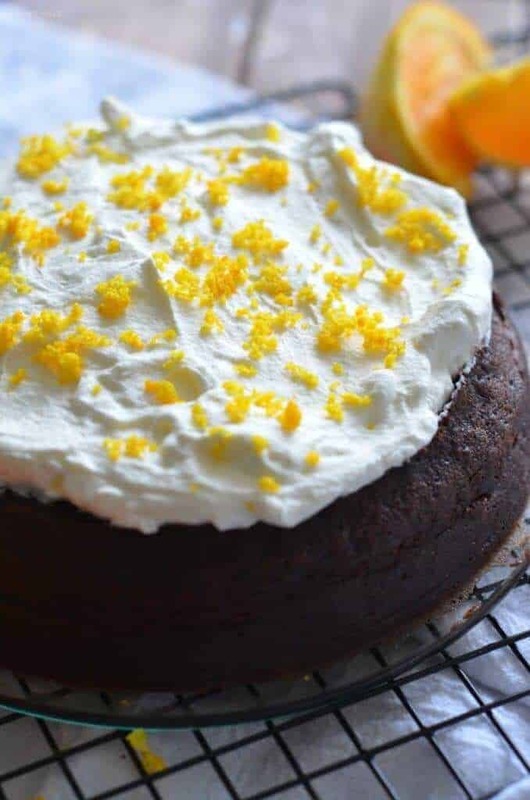 This Flourless and Gluten Free Instapot Orange Chocolate Cake by I Don’t Have Time for That is going to delight all of you orange fans and those of you who are Gluten-Free. I don’t know about you, but I think this one is my favorite. The combination of orange and chocolate has always been so appealing to me and this cake in an Instapot has me sold! The best part? The ingredient list is not a mile long so any level of cook from beginner to master chef can make it. I’m in! Every Nook and Cranny is back at it again and this time she shared how to make cheesecake in the Instant Pot. 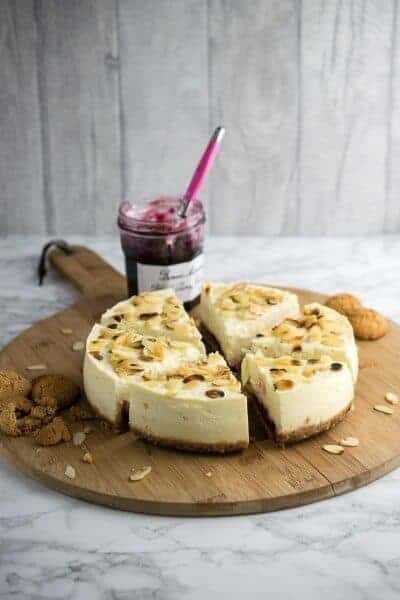 She calls it Bakewell Cheesecake and it is a version of her famous cheesecake recipe that has been converted to one for the Instant Pot and it dramatically reduces the cooking time. I love cheesecake and would certainly like to try this one out. Doesn’t it look perfect?! 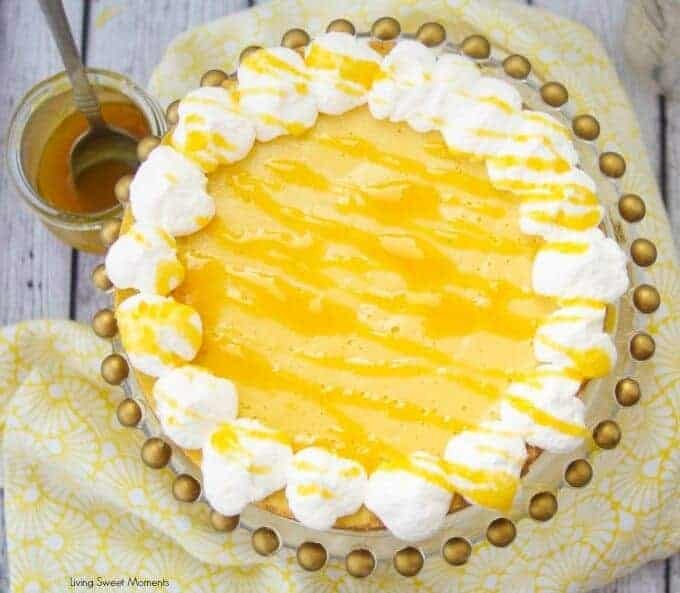 Doesn’t the sound of Instant Pot Passion Fruit Pie just instantly take you on vacation in your mind. I’m envisioning a beautiful beach, cocktail in my hand and a slice of this heavenly pie on my plate! Living Sweet Moments is such a great cooking teacher and she will show us how to make a pie in the instapot and it looks so simple to do! Summer is calling me and asking me to make this! Okay… you can commence the oohing and ahhing! 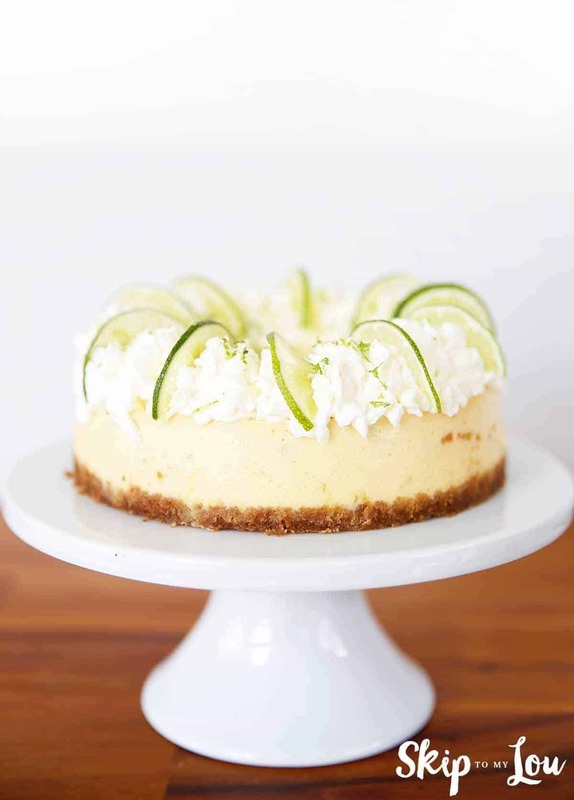 A lot of instapot recipes that I see are not the prettiest, but this Pressure Cooker Key Lime Pie Cheesecake by Skip to My Lou, is absolutely not in that category! Isn’t it just lovely. The best part is that the pie looks fairly simple to put together and in the instant pot, it cooks in a hurry. The other thing that I love about this post is that she goes through, step-by-step, how to make it that beautiful on the top. Sometimes when a dessert looks beautiful, you know that it is going to taste amazing, too. I think that is definitely the case here! To make this version, you’ll need a good spring form pan that will fit in your pressure pot. She also teaches you to make a sling to make taking the cake in and out of the pot super simple. I hope you’ll check out all of her pressure pot posts as they are super informative! 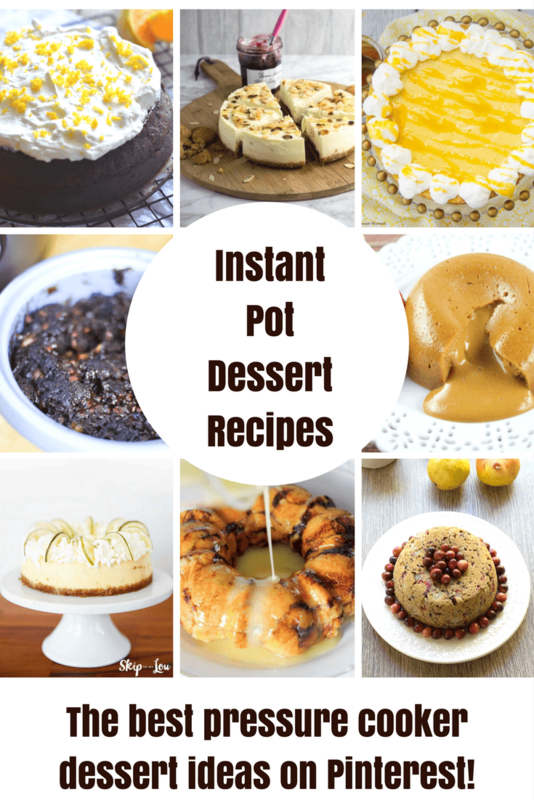 I hope that you’ve seen some amazing instapot dessert recipes that you want to try! I know I sure have! Be sure to pin this for later! These all look great! I don’t even know were to start! Im pinning to go through slowly!